Holly: OMG, those earrings! Hiddeous. 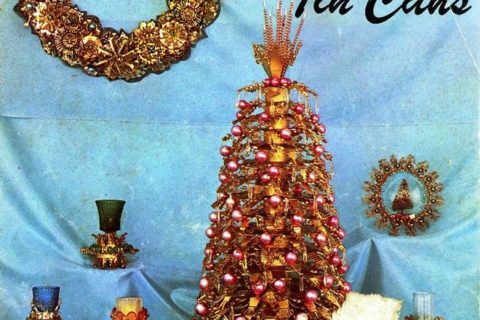 These ornaments look just like my grandma’s Christmas tree did most of my life. 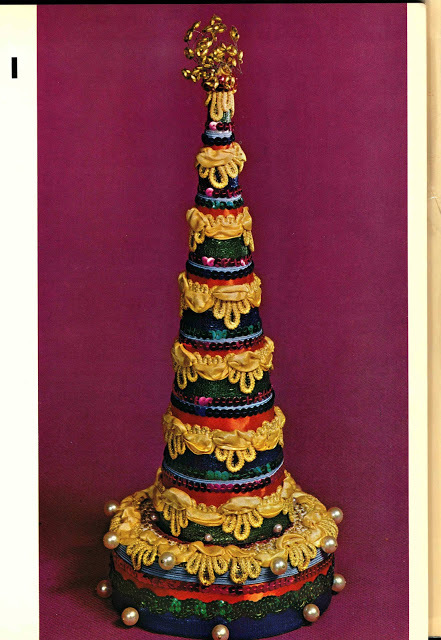 Grandma’s ornaments are a lovely thing to put on your tree, but if you are helping patrons look for books on to make Christmas ornaments, this book is probably not what they had in mind. The author is clearly messing with us at that point. I would happily buy those. Especially if I found them in good shape at a thrift store. I would not make them, however. The thrift shop would have to pay me to take them. Does anyone know what the second thing is supposed to be? 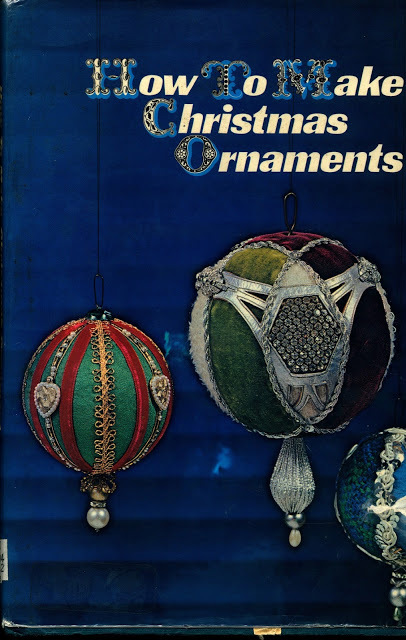 I like ornaments in this style. I just know I’m not capable of making them. But they make me feel all nostalgic. 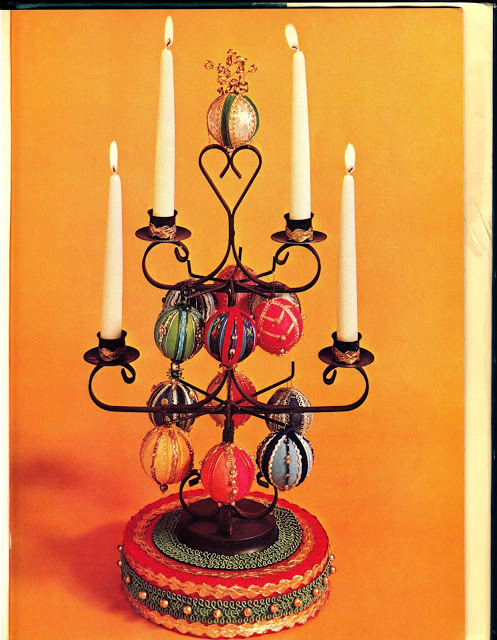 My mother was very fond of making these and I still have a lot of them. 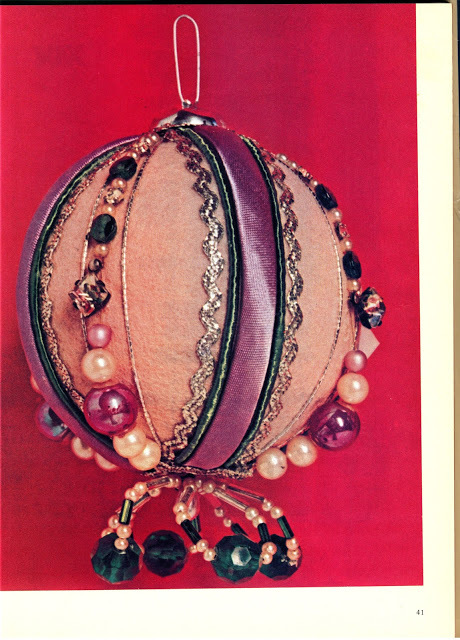 I made an ornament similar to some of these, at about the time period of this book. I think my mother still has it. 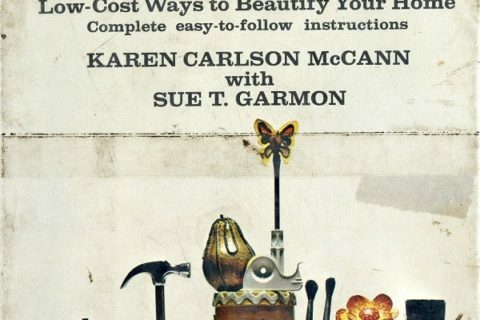 Another retro book for the book sale! I… think we may have made several of these. With rick-rack. Lots of rick-rack. 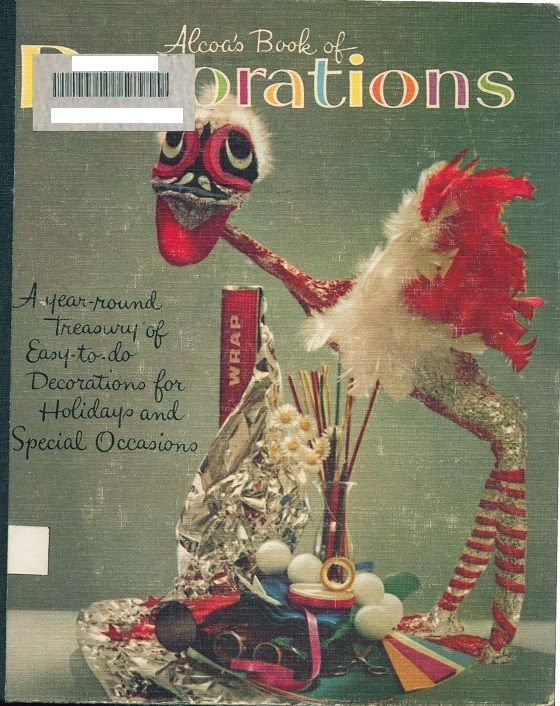 I remember my mom making these in the 70’s – styrofoam balls, pins, beads and ribbon. 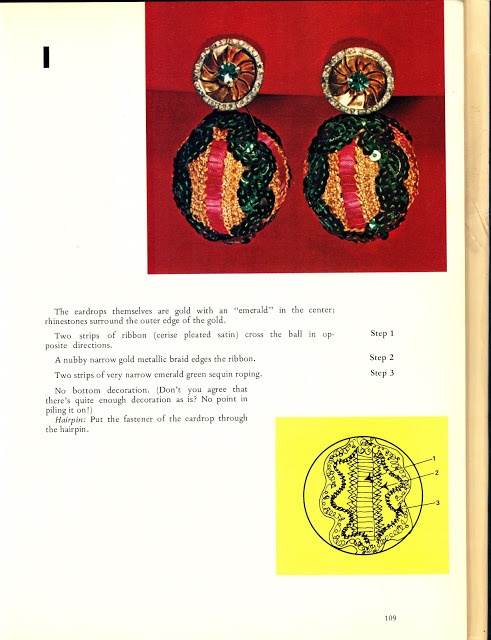 Nah – better idea for the earrings – get enough of them to sew them onto a sweater in a Christmas tree shape and you’re a shoe in to win the Ugly Christmas Sweater contest! This is the raison-d’etre for holiday bazaars — so that ladies with time on their hands can craft things to sell for the benefit of their church or whatever. I can’t imagine sitting down and making these myself. If I had all that extra time in the runup to the holidays, I would still be sending Christmas cards.